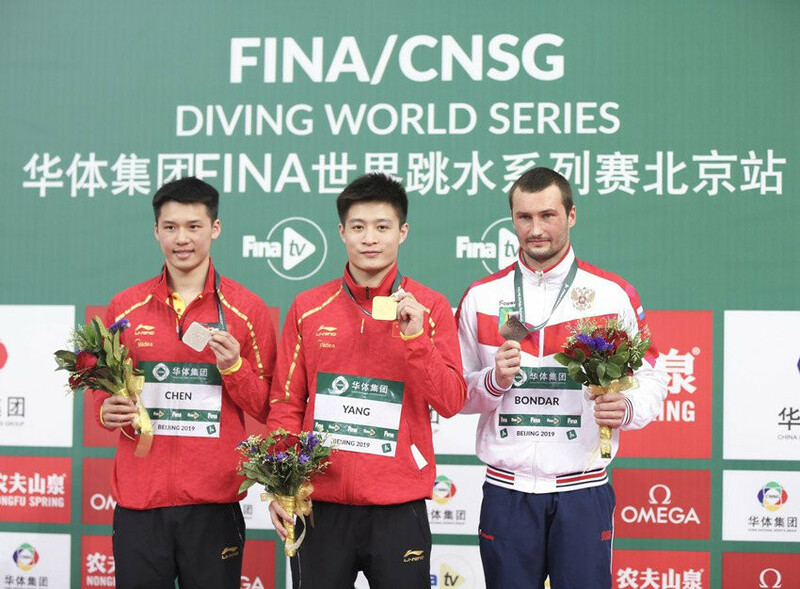 Fifteen-year-old Zhang Jiaqi excelled once again as hosts China completed its golden sweep on the final day of the International Swimming Federation Diving World Series event in Beijing. Three more golds were collected by home athletes as the team finished with the full house of 10 titles to the noisy approval of the crowd in Beijing's Water Cube. Zhang, a two-time World Cup champion, led from start to finish in the women's 10 metres platform to amass 400.05 points. China's Rio 2016 champion Ren Qian had to accept silver with 371.20 with Canada's Meaghan Befeito third on 33.40. "It was my best performance in the recent months," said Zhang. "I felt better with the competition atmosphere. "I was very nervous because all the fans were cheering for us. "It was not easy to receive scores above 400." The other Chinese golds on the night came from Yang Jian in the men's 10m platform and the new pairing of Si Yajie and Lian Junjie in the mixed 10m platform synchro. Yang, the winner in Sagamihara, Japan, last weekend, collected a total of 573.60, including 102.60 for his fifth dive and 110.70 for his last. His compatriot Chen Aisen, the Rio 2016 gold medallist, came from behind after three rounds and finished runner-up with 527.65. Aleksandr Bondar from Russia placed third on 509.95 after Britain's Tom Daley dropped to 488.50. "I don't think I could have had a perfect final tonight," said Yang. "I won the gold medal just because my strong rivals, Chen Aisen and Daley had bigger mistakes than I did." Daley, who had a flying start as he finished second after two rounds, made a big splash in his fourth dive, earning just 63 points. "I did not perform as well as I did in Japan," said Daley. "I will try to make myself stronger when I come back home and get ready for the next World Series and World Championships." Si and Lian claimed victory in the mixed 10m platform synchro with 346.38 points, beating Nikita Shleikher and Luliia Timoshinina of Russia, who took silver with 301.26, and the Canadian team of Nathan Zsombor-Murray and Meaghan Benfeito of Canada, who claimed bronze on 300.96. 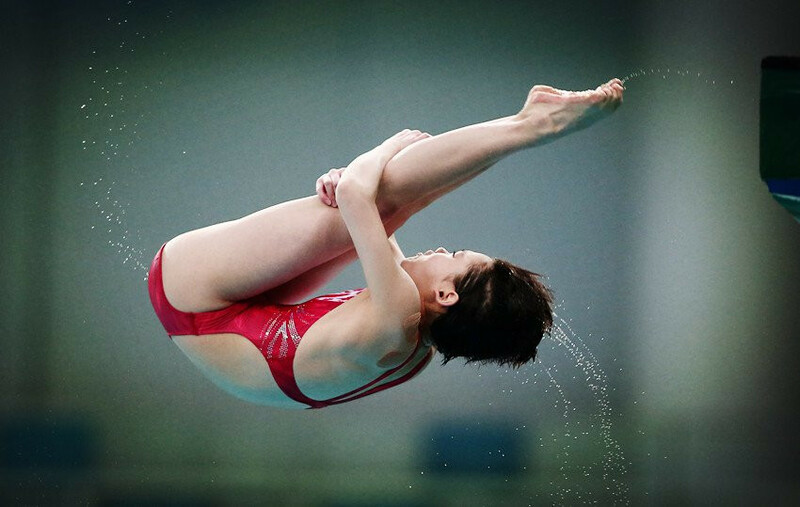 With the completion of the first two legs in Sagamihara and Beijing, the Diving World Series next stops in Canadian city Montreal from April 26 to 28. It will then visit Kazan in Russia from May 10 to 12 and British capital London from May 17 to 19. China also won every title available at the Sagamihara leg and they continue to dominate diving. The Water Cube will now begin its transformation into the "Ice Cube" in order to host the curling at the Beijing 2022 Winter Olympics and Paralympics.